This post is based on a presentation I created for work regarding business email etiquette, but many of the same principles can be applied to personal email as well. Don’t SCREAM. In the electronic world, all caps is the equivalent of shouting, and we all know that it is impolite to shout. Word messages carefully. Sarcasm can be easily misread, so use it sparingly and only in situations where you know it will be understood as such. I was recently guilty of this in a group email and felt horrible that a dear friend had misunderstood a comment I had made in jest. Use punctuation and abbreviations sparingly. Similar to wording, excessive punctuation can be easily misunderstood. And since email is not a text message and you have more than 140 characters to convey your message, don’t risk having to explain yourself by using abbreviations birthed from texting. Proofread before sending, especially on smart phones and when sending group emails. Rule of thumb, re-read your message for every person you are sending it too. (Obviously not for very large groups.) But if you get into this habit, it will save you embarrassing mistakes. Use appropriate “Out of Office” messages. Don’t think of “Out of Office” messages as only for extended PTO; use them when you are away from your desk for an all-day meeting. They can help set appropriate expectations for those who are trying to reach you, and may even encourage the person trying to reach you to find another source for their question. Make messages readable. Emails should be concise. Use short sentences. If you are writing an email that is very long, you may want to consider another vehicle for communicating. Also, use fonts that are easy to read. You should never use a script or handwriting font for an email message. Use Cc and Bcc appropriately. Only include those in the message who really need to know. Don’t use “Cc” as “CYA.” Also, if you are sending a message to a large group, put those names in the Bcc; this way, if someone accidentally “replies all” it won’t go to the whole group, just the person it was sent to. If you are involved in a group strand of emails, make sure you’ve read the most recent email in the strand before you reply. You may be answering a question already given. Again, think of others’ inboxes. A signature is not a resume. A signature should provide necessary contact information. An organizational logo, brief quote or one-line message can help support your brand, but don’t list every diploma or accolade you’ve ever received. Your email messages are an extension of your personal brand, particularly in the office setting. 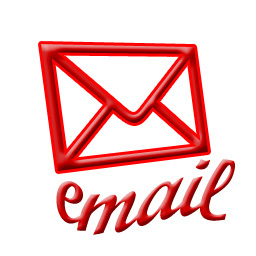 So, be cognizant of what your email is saying about you, present yourself well by delivering the best message possible.